Free Shipping Included! 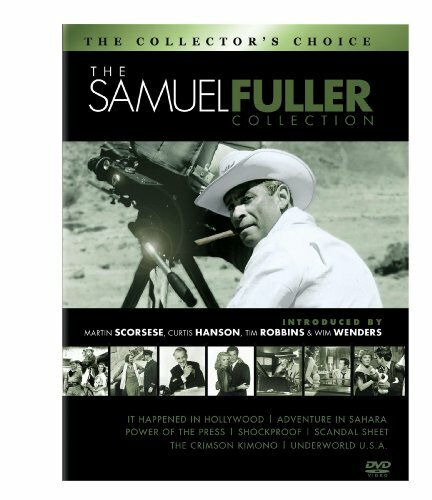 The Samuel Fuller Film Collection (It Happened in Hollywood / Adventure in Sahara / Power of the Press / The Crimson Kimono / Shockproof / Scandal Sheet / Underworld U.S.A.) by Sony Pictures at Chocolate Movie. MPN: 43171-285984. Hurry! Limited time offer. Offer valid only while supplies last. Excellent Eighties - 50 Movie Pack: Bail Out - Hunk - Cave Girl - My Chauffeur - Toby McTeague - Tomboy - Night of the Sharks - The Kidnapping of the President + 42 more!